Oregano oil comes from the leaves and flowers of oregano, which is a perennial herb. The herb is from the mint family, a native to Europe and grown around many parts around the world. In addition to being a common herb found in foods, Oregano oil extracted from Oregano leaves has many health and beauty benefits. The oil contains thymol and carvacrol. Both of these components have properties that fight off bacteria. Thymol is an antibacterial agent which breaks down mucus and other forms of bacteria in the body. Carvacrol prevents bacteria growth through destroying its cell membrane. Quality oregano oil has Origanum vulgare and Thymus capitatus. It also contains Terpenes and Rosmarinic acid, known for its antiseptic and antioxidant properties. Take note that the oil of oregano side effects is caused by high consumption of any of these components as well. I'll talk about that in the later sections. Yes, you can find oil of oregano side effects. But it still has a lot of advantages, which is why many people use it. Anti-Inflammatory. Oregano oil is soothing. It can help with both internal and external forms of inflammation. The oil can also reduce pain from injuries or physical symptoms from certain conditions, such as arthritis or sunburn. Oregano oil is also commonly used as a home remedy for chest congestion. Fights off Fungus and Bacteria. Oregano oil can help treat fungal infections around the body and reduce the symptoms. It can also help with bacterial infections. Prevents Viruses and Parasites. Oregano oil is known as an insect repellant. 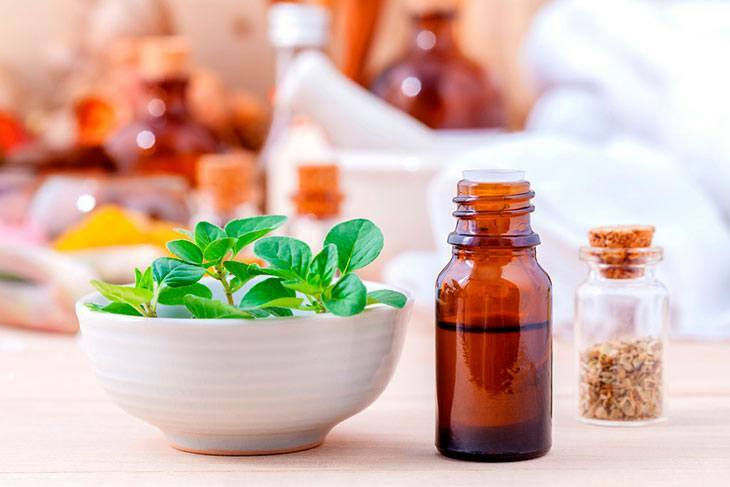 Spraying oregano oil diluted in water can kill off any intestinal worms or any other parasite found at home. The oil can also help fight and protect your body from viral infections such as measles or the common cold. It also works wonders on those who suffer from respiratory ailments. Antioxidant. Free radicals end up making you look older and damage your skin. Oregano oil fights these free radicals. As a result, our body can repair the damage and slow down the maturity progress. It leads to younger-looking skin and better vision. Digestion. Oil of oregano can help promote digestion through improving the secretion of your digestive juices. Better flow helps digest more nutrition and enzymes. Unfortunately, there are side effects when using oregano oil, whether used on skin or consumed orally. But it only happens if you take too much. It's crucial to know about the oil of oregano side effects, so you know how to avoid these symptoms from happening to you. Oregano comes from the Lamiaceae family. Its properties can cause allergic reactions to those sensitive to basil, mint, sage, lavender, or any other plant that originates from the same roots as oregano. If you have sensitive skin, then it's best not to use oregano oil or dilute it with a less powerful ingredient, such as olive oil. Oregano oil contains thymol, which would build up in your digestive and nervous system. It can help with digestion, but the high levels of thymol may end up damaging your liver. While thymol is antibacterial and considered healthy, too much of it may affect your organ health. Increased thymol levels from oregano oil can also irritate your stomach's lining. The irritation leads to nausea or other digestive conditions that end up with sensitive stomachs or diarrhea. The consequences may be fatal, as it damages your liver function. You can avoid poisoning your body by consuming less oregano oil. Use the smallest dosage and work your way up every few weeks. Observe how your body reacts to the oregano oil before increasing the dosage. If you are pregnant, consuming oregano oil would increase the blood circulation in your womb. As a result, it weakens or stimulates the uterine, causing contractions. These contractions may lead to a miscarriage. How? The uterine stimulant and too much blood circulation can induce vaginal bleeding. Limit use of Oregano oil during pregnancy to avoid unnecessary side effects. The oil of oregano side effects for pregnant women is dangerous. It’s best to avoid taking oregano oil while pregnant. If you do plan on consuming it, use only the smallest recommended dosage for a few days. Observe if you suffer from pain or any other symptom. Oregano oil stimulates your heart, which causes palpitations. For those who have a history of anxiety, it may trigger attacks as well. Those who suffer from heart conditions should take caution when consuming the oil. Oregano oil may have a bitter or minty taste. Its flavor is one more reason why oregano oil causes nausea. It affects your stomach lining and has you either vomit or suffer from headaches. The taste can trigger nausea for those with sensitive palates and stomachs. If you take oregano oil, dilute it with water or add flavor such as honey or lemon to reduce the strong taste. Oregano is a PATHOGEN, which kills microbes in our body. If one massive die-off of bacteria happens, it causes side effects such as nausea or headaches. To avoid this from happening, drink a lot of water after consuming the oil. Iron is vital to keep your blood pressure normal. Oregano oil can lessen the absorption of iron. Because of that, taking oregano oil gives you a higher risk of anemia. The increased risk is due to the oil reducing the absorption of iron. You will need to have an iron supplement alongside with the oil. Low levels of iron can also lead to a low hemoglobin count, which lessens the oxygen carrying capacity. Lessened hemoglobin count causes fatigue and headaches. For those who suffer from anemia or other blood-related conditions, be careful. Take the lowest dosage or pair it with the necessary supplements to maintain your iron levels. 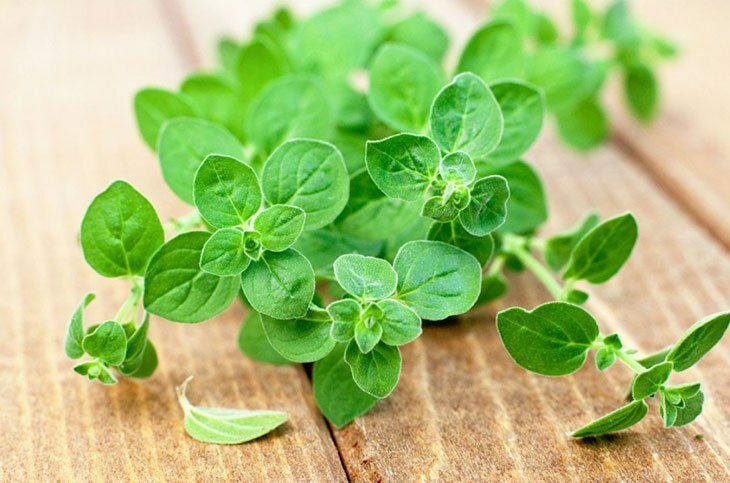 Oregano oil has properties similar to blood thinning agents. It causes low blood pressure and sugar levels. If you have a medical procedure, stop taking oregano oil two weeks before your surgery. For those who have diabetes and low sugar levels, use the oil sparingly to avoid a drastic drop in your insulin levels. Use Oregano oil properly to get the best effect. Though oil of oregano side effects may end up discouraging you from using it, we aren't telling you not to! Just like food and other things, too much of something can be bad, no matter how healthy the product seems to be. Using the appropriate amount is crucial to avoid extreme side effects, especially when you plan on consuming the oil! Follow the instructions and add only a few drops, since the extract is strong and may harm you if you apply or take in more than what professionals recommend. Yes, there is such a thing as FAKE or low-quality oregano that may do more harm that good. Find oregano oil made out of Origanum vulgar and Thymus capitatus. It has better therapeutic value. Oregano oil is not too hard to make at home. Instead of purchasing oregano oil low in quality, you can create your oregano oil through adding chopped oregano leaves and oil in a jar. Heat the jar under hot water for about ten minutes. Then, place the container by a sunny window and shake it every few days, leaving it for two weeks. Strain the oil, and you have created your oregano oil for consuming. You should take oregano oil sparingly. It's known for SHORT-term use and not consumed daily. It's intense in its pure form, so you'll need to dilute it in carrier oils. Use a ratio of one part oregano oil to three parts of any carrier oil like olive oil. If not, then take only up to seven drops once a week or every ten days. While oregano oil is beneficial, I do not recommend it for children or pregnant women. Those who suffer from heart conditions or other illnesses should consult a doctor before attempting to use the oil. Oil extracts from herbs and plants such as oregano may have its advantages. BUT, they come with side effects you should know about. It will help prevent problems with your overall health! 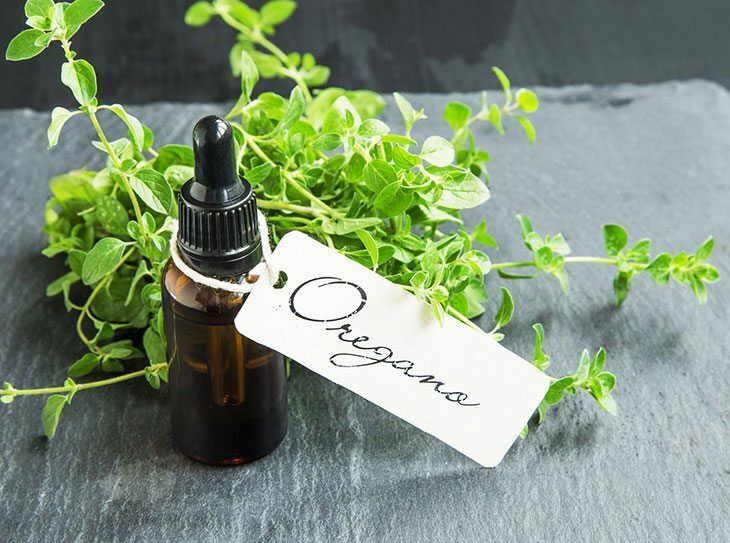 I hope that this article on the oil of oregano side effects informed you about what this oil extract can do for you, in both a positive and disadvantageous manner. Now that you are completely aware of the oil of oregano side effects, you can use it correctly. You may also want to consider the side effects of wheatgrass. I am curious if some of the side effects, such as nausea and/or liver damage can occur by using topically or if those effects only happen when ingesting the oil? I have used oregano oil for my diverticulitis flare ups instead of antibiotics. The antibiotics made me throw up. I have taken 1/2-3/4 of a gel cap mixed with Grapefruit seed extract. When the inflammation starts to get worse and more painful ( a burning tingling feeling) I up this to 2 gel caps. It seems to do the trick. I’ve used this to overcome 3 different attacks or flare ups. I also take 2 turmeric capsules along with the oregano oil and grapefruit seed extract. I’m not able to eat anything besides broth when I do this.